Still a few tickets available for Friday 2 February. Members £12 and Non-members £15. 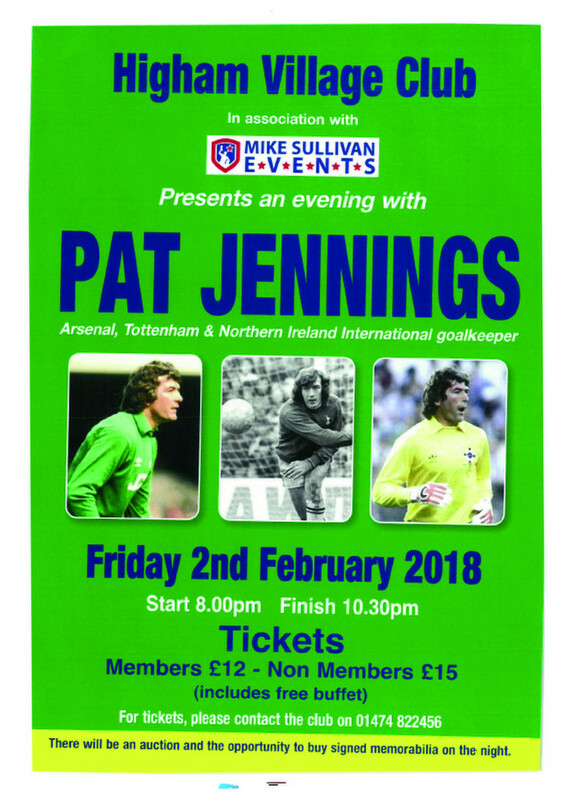 Come and meet Pat and listen to his Tottenham & Arsenal careers as well as his Northern Ireland International career. Start 8pm. Tickets on sale from the Club.